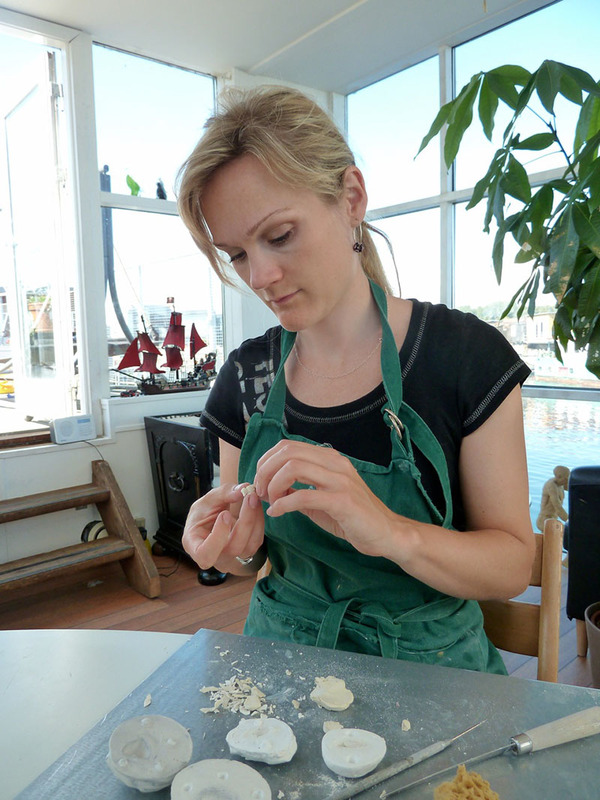 Andrea van Webber has her artistic workshop at home on a one hundred year old Dutch houseboat in Copenhagen harbour. She got her degrees as a product designer from The Royal Danish Academy of Fine Arts – The school of Design and Rhode Island Shcool of Art and Design. 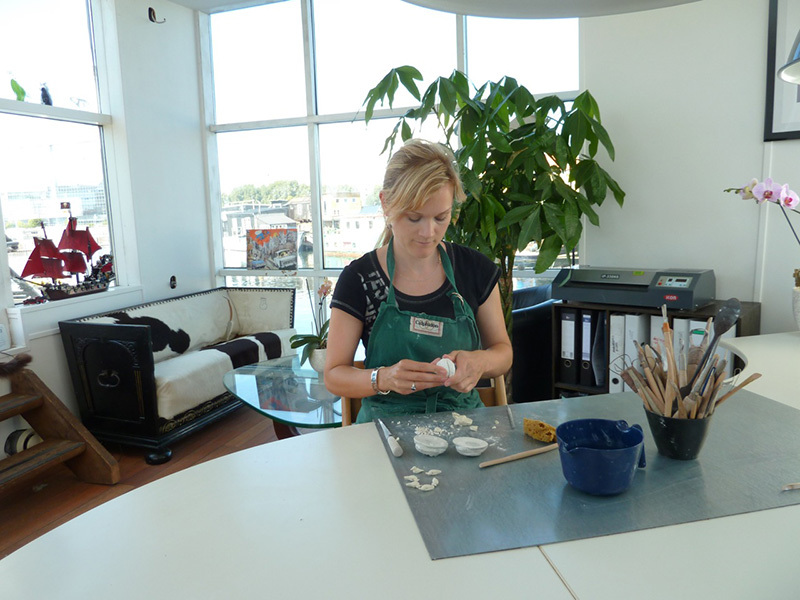 She has designed and produces ceramic urns since 2001, and in 2010 she developed the concept of Ash Jewelry. 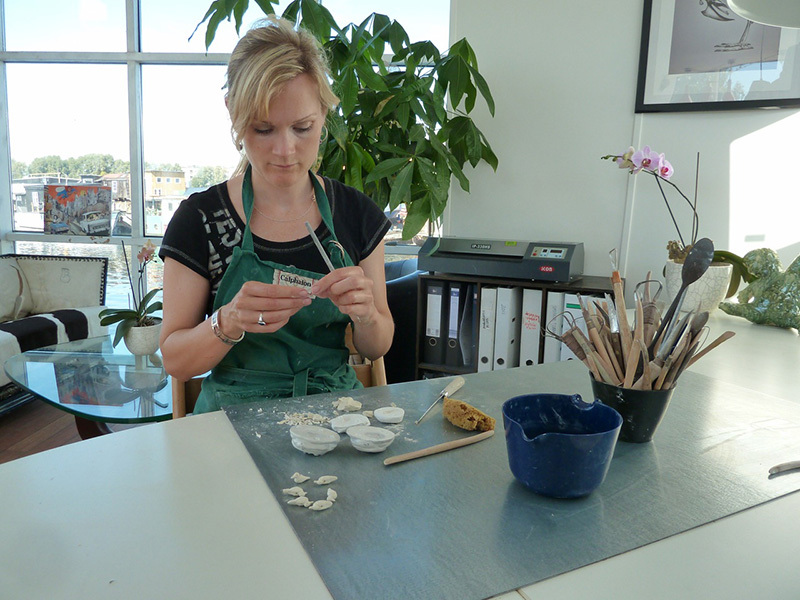 Each piece of jewelry is a unique design and has a small amount of the ashes from a pet, mixed with the porcelain clay or sealed, but visible, inside the glass bead. The jewelry is worn as a sweet memory of the deceased pet. 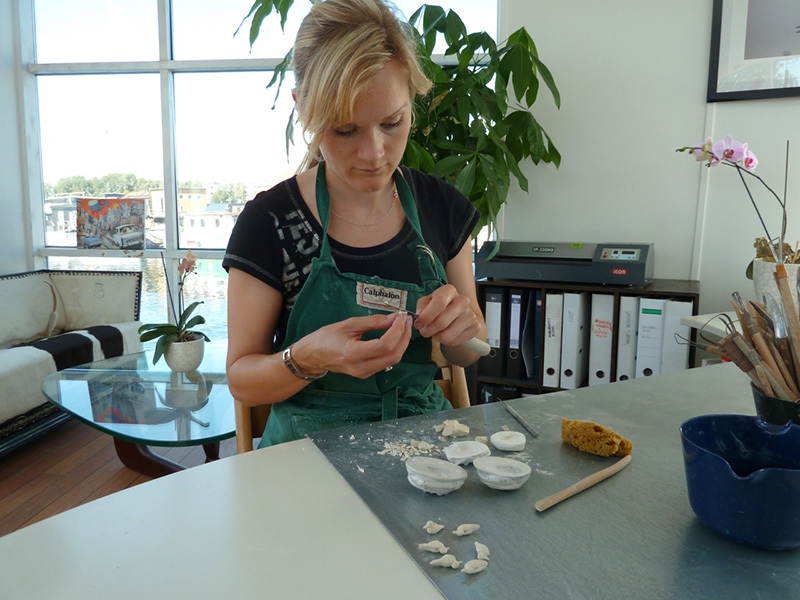 In the picture Andrea is working on a piece of jewelry in her workshop overviewing Amager Fælled. The sea and the beauty and forces of nature are the inspiration in all of her work.